This elegant presenter caught my eye at the local telephony boutique. Realize at this point they are not merely selling you a phone, they are consulting with you about how you will stay jacked-into the world and by what smartphone model you will be perceived. 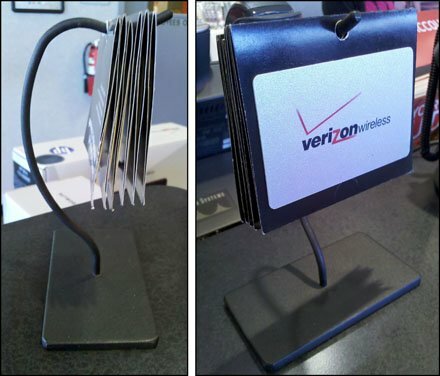 So an elegant gift card holder with merchandise staging area is a step up on the evolutionary scale and justified.